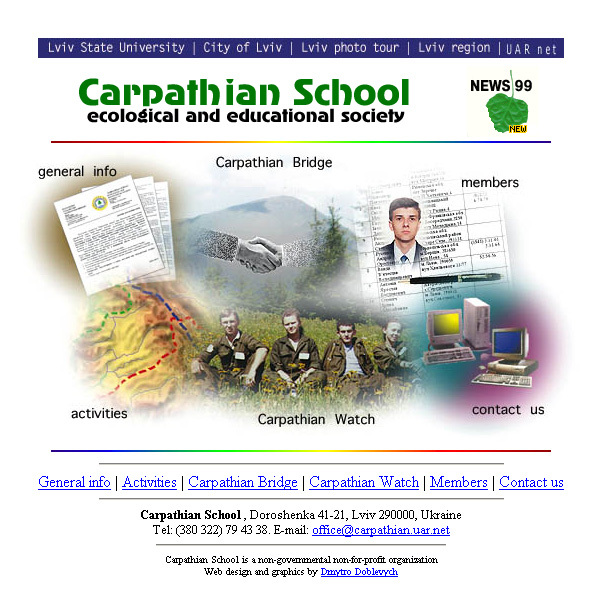 Carpathian School was a non-governmental environmental organization, created by representatives from Ukraine, Poland, and Romania, in order to promote ecological education and scientific research in the Carpathian mountains. The website was online from 1998 till 2002. Now, it can be accessed in the Internet archive.